Katie was born in San Francisco's Chinatown, and grew up in San Francisco. She attended SF State University with a BA in journalism. Her home church was First Chinese Baptist in San Francisco. Upon graduation, Katie worked for a few years as the director of a hunger program with the Northern California Ecumenical Council and East West News (Asian American weekly paper). She attended and graduated from the American Baptist Seminary of the West in Berkeley, CA. Katie served a short term as associate pastor of Community Baptist Church in San Mateo then became the first full-time Director of Asian Ministries for the American Baptist Churches USA in Valley Forge, PA. Katie now serves New Life as the Senior Pastor and currently serves as the president for the ABC-USA region our church is a member of: The American Baptist Churches of the Central Pacific Coast. ​Katie is married with one son. Karen attended the UC Berkeley, receiving her undergraduate degree with a Social Science Field Major - “Education & Socialization” and went on to receive a Graduate Education Credentials in multiple subjects. She then attended the American Baptist Seminary of the West at Berkeley, receiving the Claiborne M. Hill Award for Highest Academic Standing and the Jessie Day Drexler Award for Competence in the Field of Bible & Theology. Karen enjoys discovering and sharing the amazing and unbelievable grace of God, which she discovers each day through God’s Word, God’s world, and all God’s people. Karen presents at various regional and national events, and is serving on way too many Boards and committees. Karen keeps quite busy and connected with our national denomination. Locally, Karen also serves on the Executive Council of the Ministers Council of the Greater Bay Area. Recently, she created a Summer Day Camp program that incorporates neighborhood outreach and leadership development. Prior to joining New Life, Karen completed 15 years as the Associate Pastor at the First Baptist Church of Alameda, an American Baptist church, serving a multi-ethnic, intergenerational congregation of Christ followers. At New Life Karen assists the Senior Pastor, helps coordinate our High School Youth activities, has served as the lead pastor while Pastor Katie was on sabbatical, and provides pulpit supply and guest speaking engagements in various ministry settings. Prior to this, she was a public school teacher and mentor teacher in the Millbrae School District. 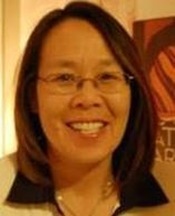 She also served as an active lay leader at the First Chinese Baptist Church of San Francisco. Her goal is to live a life that is described in Micah 6:8 “to do justice, love kindness, and walk humbly with her God.” Karen loves to hang out anywhere good food and friends can be found. Khan Lolly was born in Manipur, a state in North East India. She accepted the Lord at the age of fifteen. Khan taught kindergarten class at Grace Academy in India and was very active evangelist sharing the gospel with the Hindus and Muslims in India. ​In 1998, she immigrated to San Diego, attending Southern California Seminary and graduating in 2002 with a Bachelor of Arts Bible and Missions. After graduation Khan moved back to India, working among non-Christians. She then later came back to the United States to continue her studies at the American Baptist Seminary of the West (ABSW) in Berkeley. While attending ABSW, She interned at New Life and later became an important part of the church staff. Khan is married with three children and loves movies, dim sum, steak and mashed potatoes. She is a soccer mom and loves to hang out with the youth and young adults of the church as well as the international students that study at nearby University of California at Berkeley. Khan never says no to boba drinks. Rev. Tony was born and raised in the Ashanti Region of Ghana, West Africa. As the last son of an Evangelist, Tony was taught Christian values at a very young age. Prior to his call to ministry, he was trained as a professional teacher in Ghana. After teaching for seven years he went back to the university to pursue bachelors degree in Marketing. Tony was trained and prepared for ministry in Ghana, at Victory Baptist Church, where he served as youth minister, interpreter, church secretary, secretary for membership and in the evangelism committee. In 2012, Tony enrolled in American Baptist Seminary of the West, graduating with his Master's of Divinity. Tony has a very strong passion for Missions and Evangelism. Pastor Ada was born in New York and spent the greater part of her life in Nigeria. Her parents were regular church attendees and participated actively in the church. Because of this, Ada started developing a wonderful personal relationship with God at a very early stage of her life. She obtained a bachelor's degree in Accounting at the University of Port Harcourt and a Masters degree in Marketing Management at the Lagos State University both in Nigeria. 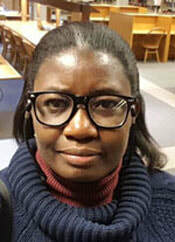 After her graduation, Ada received training and began to to serve in her home church, the Assemblies Church of God in Nigeria, in various ministerial duties, organizing bible studies for children and for the adults, and organizing revival programs. Ada is married and has a ten year old son. Presently, Ada is studying at the American Baptist Seminary of the West for a degree in Masters of Divinity and is an intern at New Life Christian Fellowship.